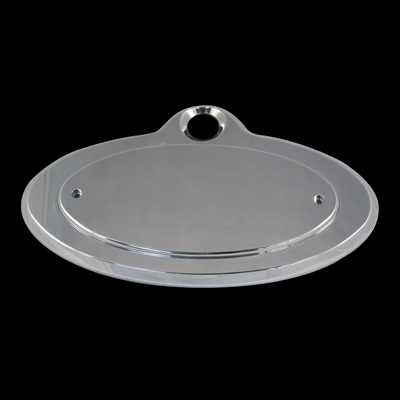 * Mirror Polished Finish Innovative Bold Styling: UPR Products has just released the Hottest Billet Product Ever Designed for the 2005-2009 Ford Mustang! The Billet Rear Oval Emblem Package is a 3pc. Design that leaves all our Competitors Boring Trunk Medallions and Fake Gas Door Covers with the rest of the Copy and Paste Ideas! Our unit is 9 wide and 5.25 tall and over a ½ thick and offers a complete bolt on design that will never fall off and installs in less than 30 minutes. Billet keyhole cut out for easy trunk access, comes complete with mounting hardware and everything for an easy install. Voted the Best Upgrade Available for the Rear of your Ride by Countless Car Show Enthusiasts. Quality Construction: Manufactured from 6061 Billet Aluminum for a perfect fit and still allow access to the truck key hole. No one else gives you the bold clean styling of our Aftermarket Dress Ups, Suspension and Performance Parts for your American Muscle Car like UPR Products! Installs in 30 minutes or less with supplied hardware. Click Here for Instructions Fits these Vehicles: 2005 2006 2007 2008 2009 V8 V6 GT500 GT Shelby Mustang Steeda Roush & Saleen Vehicles. Made in the USA!